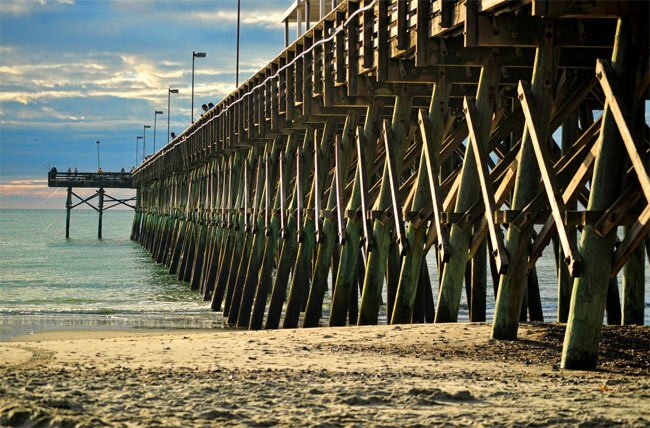 The 2nd Avenue Pier on Myrtle Beach’s famous Ocean Boulevard is the longest pier in the celebrated Grand Strand city. Built in 1936 by Julian Scarborough and St. Julian Springs, the 906-foot-long pier takes visitors out into the Atlantic’s depths for unbeatable fishing and expansive ocean views. The same family has owned this pier since the 1960s, though it has been rebuilt twice in its history – first after Hurricane Hazel in 1954 and again after Hurricane Hugo in 1989. 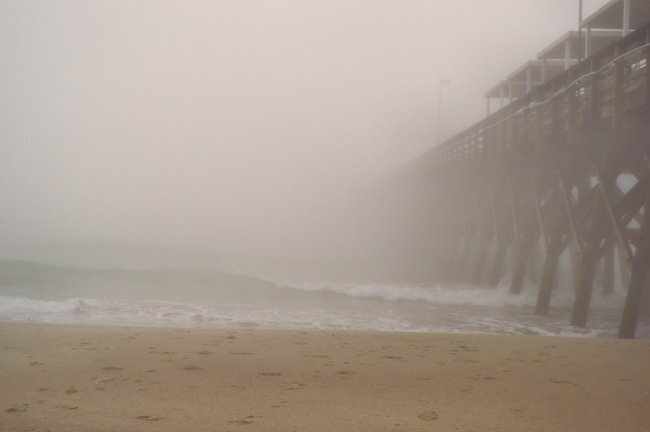 Despite these setbacks, the pier is a popular entertainment spot for locals and out-of-towners who want to glimpse the majestic creatures that call the ocean home or leave with a good fish story or two. A bait shop and fishing tackle rentals are conveniently located at the 2nd Avenue Pier, and no permit is necessary. The license fees are covered in the price of a fishing day pass for the pier. For those wishing simply to stroll along the boardwalk, a restaurant, bar, and gift shop are also available to escape the summer sun. The pier is open most of the year, closing during January and part of February. There is a fee of one dollar to enter the boardwalk. This fee goes towards maintenance. 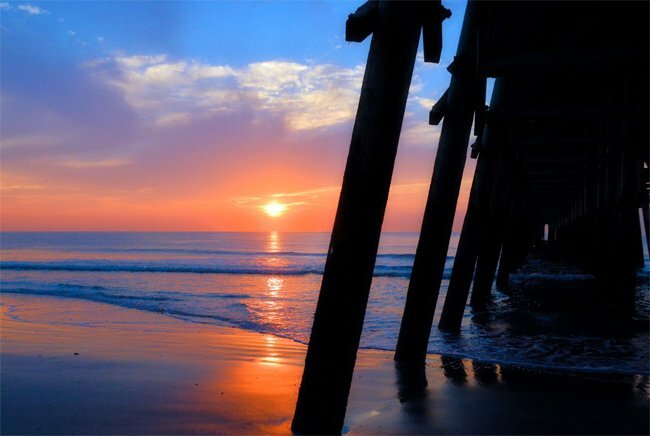 Whether viewed in the light of a brilliant sunrise or no sun at all, the area surrounding the Second Avenue Pier provides a beautiful view of the Atlantic. Hello, Carol. 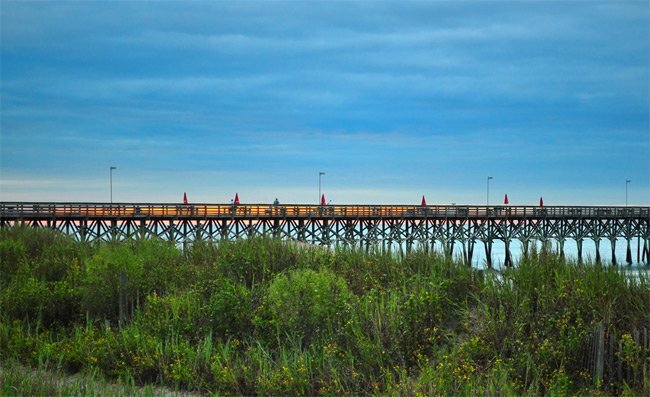 Here is a link from our website to SC Hotels: https://www.sciway.net/hotels/ There is also website for the pier above the map, if you would like to talk to someone from the Myrtle Beach area. I hope this helps. Good luck! 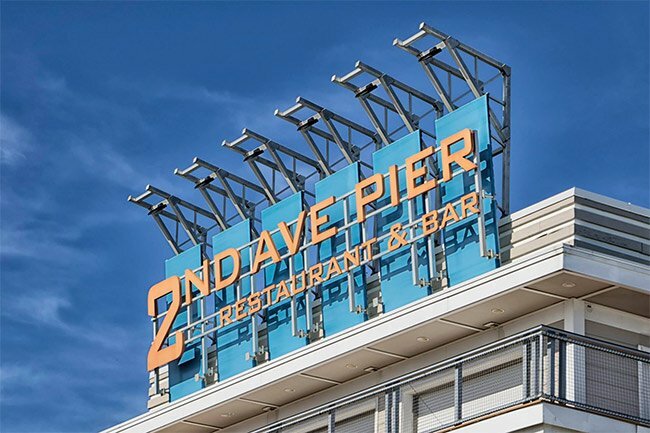 Please send me a list of hotels near 2nd Ave Pier, on ocean side. Within walking distance. 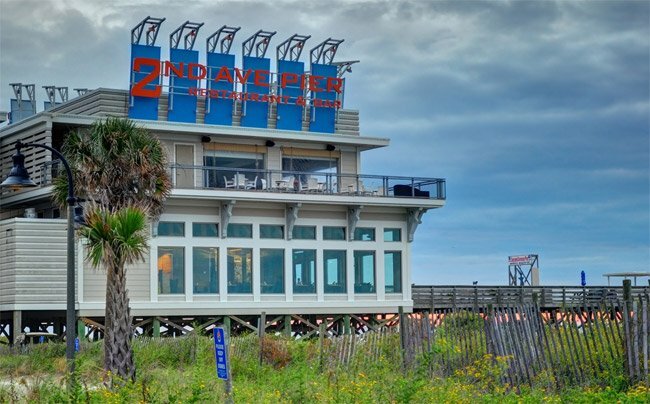 Of all the places I and my family ate at the beach we expected little from a restaurant on a pier. BEST MEAL IN MYRTLE BEACH BY FAR! Great info … perfect setting for a story I am writing on.